The happy couple looked elated as they left Rayne Church after the ceremony, waving to local residents who had lined the streets to catch a glimpse of the actors. 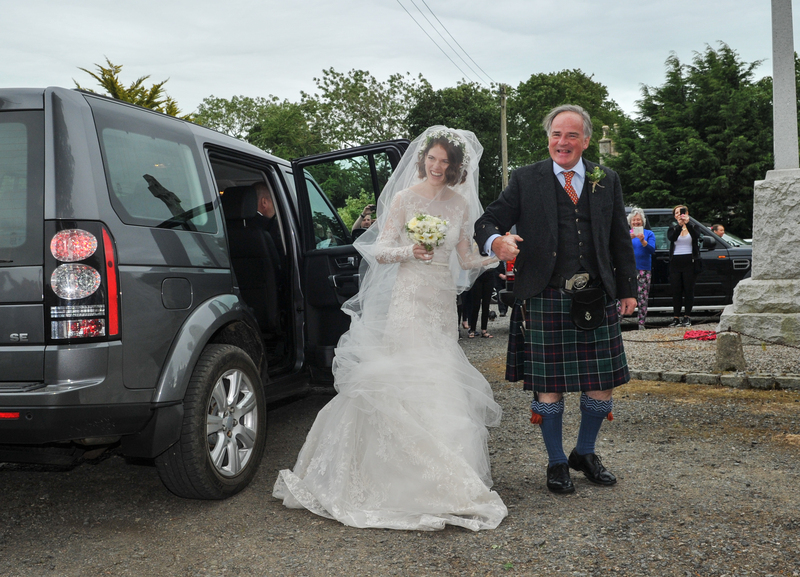 Guests arrived between 3 and 4pm to celebrate the wedding of the pair, who first got engaged last September. The groom could be seen entering the church at around 3pm, with the rest of the guests following closely behind. 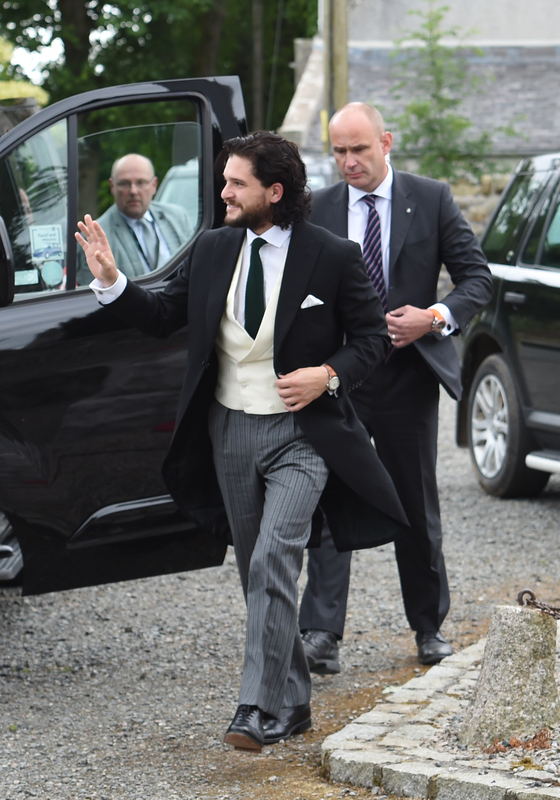 Peter Dinklage and Emilia Clarke, who play Tyrion Lannister and Daenerys Targaryen in the show, arrived in a taxi shortly after Mr Harington – taking a moment to stop and greet the waiting fans. They were closely followed by co-stars Sophie Turner and Maisie Williams, looking similarly stylishly for the occasion. 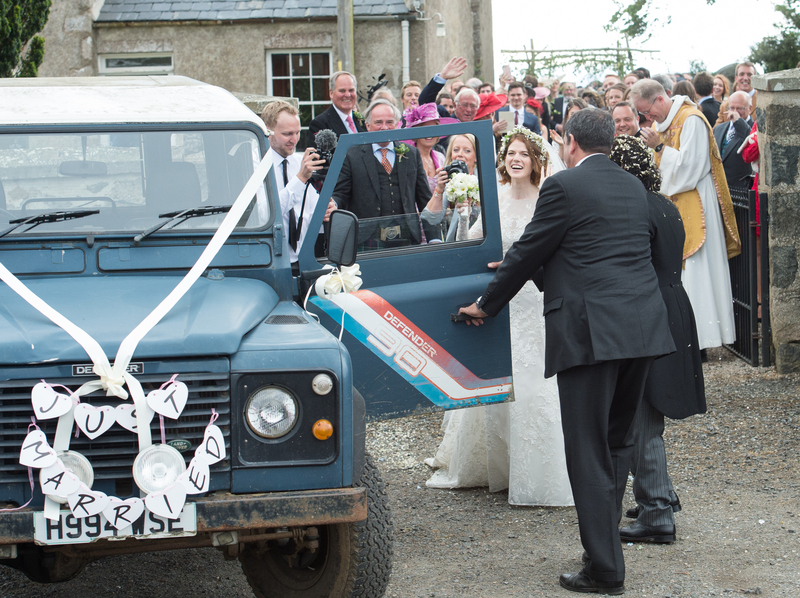 A cheer greeted the couple as they got into an old Land Rover Defender adorned with paper hearts and tin cans and headed to the reception at Miss Leslie’s historic family home, Wardhill Castle. 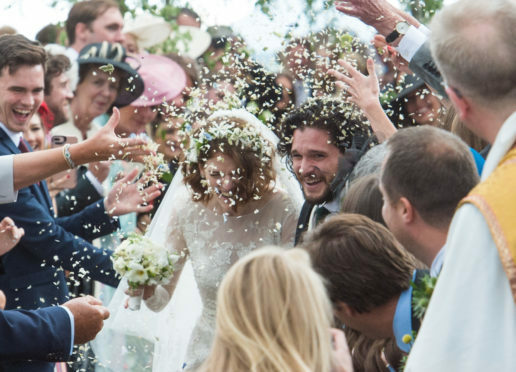 The couple met while filming the hit HBO series and played on-screen lovers Jon Snow and Ygritte.